Nigeria is the most populous country in Africa. Owing to its high level of corruption, it is also extremely poor. The country is in the midst of a civil war that is at once political, ethnic and religious, and which has had a disastrous, divisive effect on its peoples and territory. Its economic situation remains difficult; and as a result, progress in the area of children’s rights remains sluggish at best. Despite the high level of profit in the oil sector and through the exploitation of other natural resources, distribution of wealth is unequal and the country’s overall economic situation remains unsatisfactory. A large majority of the population still lives in extreme poverty; this is especially true of persons living rural regions. Poverty has a negative impact on the lives of young Nigerians: creating widespread malnutrition, sickness, limited educational opportunities, etc. Handicapped children suffering from physical and mental deficiencies and difficulties are often victims of entrenched discriminatory practices in Nigeria. In effect, there are an insufficient number of shelters and boarding schools for disadvantaged and physically handicapped children. Those who are physically challenged are not welcome in scholarly establishments, while others are denied access to such institutions due to their financial situation. Infrastructural shortcomings stemming from the dearth of funds and absence of laws for their provision are further exacerbated by discriminatory attitudes towards the disadvantaged. In Nigeria, the rate of mortality for children under the age of 5 remains excessively high, with the probability of dying before one’s fifth birthday being greater among boys than girls. Children living in rural zones are exposed to a particularly high risk of early death: due to inadequate sewage systems, lack of clean water and woefully deficient health services. 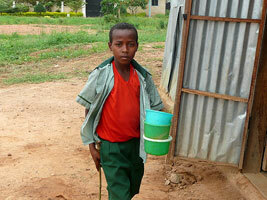 Malnutrition is the principal cause of death among Nigerian children. Many of them suffer from moderate or acute dietary deficiencies, which serve to stunt their growth. 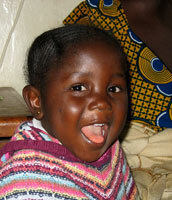 Other common causes of death include neonatal maladies, malaria, diarrhea, pneumonia, etc. 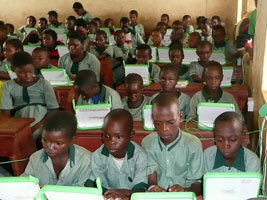 The first six years of schooling are compulsory in Nigeria. Schools are the responsibility of the State. The quality of instruction leaves much to be desired, though the country has taken several important measures to remedy its educational system. There have been significant developments in school infrastructure, sanitation and administrative management, and health and hygiene have been promoted. Other actions have also been taken to improve the quality of teaching. Corporal punishment is still an acceptable social practice and is widely utilized by both families and schools. Those who defend its traditional use often argue that such punishment is vital for enforcing good discipline among children. Violence is very common in Nigeria, and children are frequently the victims. To put an end to practices that run contrary to the International Convention of Children’s Rights and thus reduce the number of victims, it is imperative that Nigerian communities stop treating violence as a morally acceptable practice. 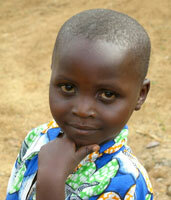 In Nigeria, the number of children living on the streets is considerable. Street youth can often be found taking refuge beneath bridges, in marketplaces, in buildings under construction, etc. Children who grow up on the streets in Nigeria encounter a number of problems: human trafficking, sexual harassment, abduction, disease, vehicular accidents, etc. Furthermore, because they live on the streets without parental guidance, they tend to be uneducated. Hence, they have very little chance of finding work and definitively escaping life on the streets. 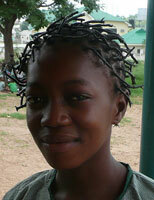 Child marriages are forbidden in Nigeria by law. Nevertheless, they still occur on a regular basis in certain impoverished regions of the country, most notably in the north. Parents view child marriage as a means for the child, and for all of the family, to escape the precarious conditions of their existence. Child marriage has negative repercussions on children’s health and overall development, and prevents them from fully exercising their rights. Young girls who marry early in life invariably abandon their schooling and are thus extremely limited in terms of their social interactions. They also run the risk of premature pregnancy, which can be dangerous for both their infants’ and their own health: often resulting in fatal consequences. In certain regions of the country, female genital mutilation is still widely practiced. The victims’ ages range from 3 months to 17 years. The lack of hygiene and overall precariousness of such excisions can lead to numerous problems for the girls subjected to this traumatic operation. These include infections and hemorrhages, among other things, as well as lasting psychological effects. On average, no less than ten children are bought and sold for purposes of prostitution daily. On some occasions, such children are tortured and sacrificed as part of ‘black magic’ rituals. No less troubling is the number of young girls who give birth and then sell their children. This sort of trafficking is on the rise in Nigeria; and the police are making every effort to stamp it out.